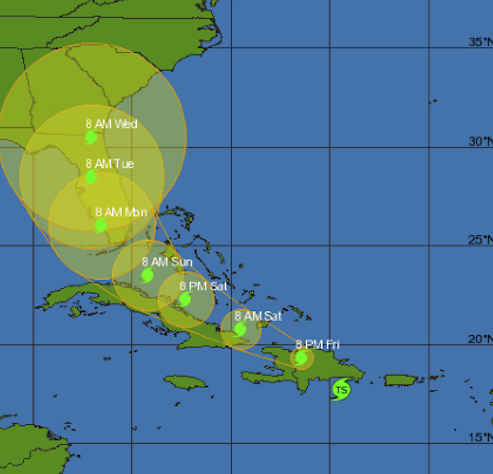 Although Tropical Storm Erika is no longer expected to be a hurricane, as it gets closer to Florida, the storm is still expected to bring heavy rain and strong winds. South Florida, are you prepared? Protect your family, home and belongings from a natural disaster. Educate yourself by planning ahead before it’s too late. Find out your options from your preferred insurance coverage and research the current state of your home. It is ideal to consider additional insurance coverage such as water damage caused by floods. Rebuilding your belongings can be expensive to replace and remains uninhabitable after a natural disaster occurs. Once the natural disaster has taken it’s path and in the unfortunate event that you have fallen victim to any property damage, rest assured that Stellar Public Adjusting is here for you – Be sure to give us a call before contacting your insurance company or agent. Create an inventory list of irreplaceable belongings in order to save you time and make filing claims a smooth process for both parties. This documentation ensures that you don’t forget any items because of the emotional distress you and your family may find themselves in. Keep in mind, if you’re area is a consistent target for natural disasters, hold on to any receipts prior for items you consider valuable. -Hurricane shutters or keep ¾ inch outdoor plywood boards for each window. If using boards, be sure to install anchors and pre-drill holes so you can put them up quickly. -Head and foot bolts on doors for extra protection. -Hurricane straps or clips to help hold the roof to the walls of your home. -A safe room that can withstand high winds and flying debris. -Be aware of your home’s outdoor environment and surrounding, as ailing tree limbs can be a dangerous hazard due to hi-speed wind trajectories, storms can inflict. We’ve all been there, we choose to outweigh the possibilities. A lot of memories are created overtime which makes it the home you and your family intend to live in. Don’t take irrational risks like fetching your belongings by running back home. Material possessions are replaceable, but people are not.